Keith had built a successful career as a senior executive while Denise had focused on raising their family. Next Level first met them when Keith had just been made redundant from the company that he had worked with for 25 years. He had been devoted to his job but was suddenly without work and without a plan as he’d always envisaged himself working until at least 65. They had fully paid off their family home and their two adult children were both travelling overseas indefinitely. Keith had looked for work but had found it difficult to find a job that suited. He had maximised his superannuation contributions before his redundancy and he had also received a decent redundancy payout but he had no idea whether he could afford to retire or even how to go about accessing his superannuation or using superannuation tax effectively. Next Level spoke in detail with Keith and Denise and identified that Keith had decided that he’d had enough of the ‘rat race’ but that he didn’t want to retire as he still had a lot to offer while they were both happy to downsize from their family home. We provided them with a referral to one of our trusted property partners who assisted them with the sale of their home after which Keith and Denise found a smaller inner city property that suited them perfectly. We then assessed their financial position and used Keith’s superannuation and a newly established superannuation account for Denise to secure their funds in a tax effective environment. We were able to determine that they had sufficient resources to provide for their financial needs for at least 30 years, which they were happy provided them with security. They then decided that they wanted to use their new found financial freedom to pursue Denise’s passion for fashion. They had an idea for an on-line store sourcing items from Indonesia, where they had enjoyed many holidays. 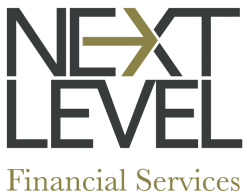 Next Level worked with them to develop a business plan and cash flow forecasts for the business, which they funded by drawing on a portion of their superannuation savings that they knew they could afford to lose if the business wasn’t successful. They launched their site and it is now running successfully providing them with a steady income to supplement their retirement savings while keeping both active and enthused. Mary and her husband Ernest had lived in their family home for almost 60 years. It was where they’d raised their 5 children and where they had many happy memories. Ernest had sadly passed away 2 years prior to us meeting Mary, who had been referred to us by one of their children who was an existing client of Next Level. Mary had few financial assets other than the family home and an amount of cash saved in a bank account and she received a full age pension from Centrelink, which was sufficient for her needs. However her children had noticed that Mary was finding it more difficult to live independently and they were concerned for her safety. They had researched and identified an aged care facility in the area where they felt Mary would be happy and where they knew she would be well looked after. Mary was reluctant to move mainly as she was concerned about her finances and leaving the home that she and Ernest had always intended be left as a legacy for their children. The aged care facility was of high quality and required that a bond be paid upon entry. Mary’s children had assumed that her home would need to be sold to pay the bond but had approached Next Level for advice to see if there were other options. Upon meeting with Mary and family members Next Level identified a strategy whereby if Mary kept her home and rented it to a tenant she would be able to pay a daily fee to the nursing home rather than a bond. We worked out the cash flow implications of the strategy and determined that the rental income that Mary received, along with a part Centrelink pension and Mary’s cash balance, was sufficient to meet the day to day costs of care. The strategy was explained to Mary who felt more at ease about the move. She is now well settled in a safe environment where her children know she is receiving good care. Chris and Rosa have been married for 15 years and have 2 school aged children. Their goals are the repayment of their mortgage, paying school fees and building wealth for the future but they feel that they aren’t saving anything despite both working and being on good incomes. Next Level met with Chris and Rosa and devised a strategy to establish a budget to enable them to capture income that’s surplus to their needs. We referred them to one of our trusted partners to have their mortgage reviewed to ensure that they’re on the best rate and then prioritised the repayment of that loan with funds also set aside for school fees. A small balance is set aside each month in a share account that is invested in line with a long term investment growth strategy. They will have their mortgage repaid in 8 years, coinciding with their children finishing secondary school. At that time the plan will evolve into one that prioritises their superannuation (for tax and retirement purposes) while also adding to their investment portfolio. We meet with Chris and Rosa at least every 6 months but they can contact us at any time to discuss anything that’s concerning them. They now feel in control of their finances and have a plan to secure their financial future. Debra is single without any kids or financial dependants and has worked for 35 years in a range of occupations. She had never really focused on her finances as she has always felt that she has enough to get by, however in her mid-50’s she grew very tired of her job and wanted to know what her options were. Debra didn’t want to retire completely but wanted to wind back her working hours in a job that gave her the flexibility to indulge her passion for travel. Next Level analysed Debra’s financial position and developed a financial plan that involved her reducing her working hours to 3 days per week. By utilising a transition to retirement strategy we were able to legally minimise Debra’s tax while building her superannuation for her eventual retirement. Funds are set aside from Debra’s income to enable her to travel every year. We also undertook financial projections to forecast for Debra the balance of her superannuation at her intended retirement age (65) and what income that will derive thereafter. Debra feels prepared for her eventual retirement and she knows that she will be financially secure. Brent had completed his apprenticeship but had identified that he could make considerably more money working in the mines in Western Australia. He was earning a considerable amount of money but was smart enough to know that it probably wouldn’t last for ever so he wanted advice on what he could do to make the most of his financial ‘windfall’. Next Level spoke with Brent and we identified that he was well positioned to acquire an investment property. This was not only a productive investment but one that Brent could improve down the track by using his skills and contacts in the building industry. We worked with Brent on the cash flow implications of property ownership, developed a budget with him to capture his surplus income and also provided advice on appropriate insurances to protect him financially from injury and illness (this required in depth knowledge of the insurance market to secure appropriate insurance for a high risk occupation). We also advised Brent to salary sacrifice a component of his salary to superannuation both as a means of reducing tax and saving for the future. Brent was also referred to one of our trusted partners to secure a loan for the property purchase. Brent has a 5 year plan to keep working in WA while building wealth through property. He has now bought a second investment property and has an eye on a third that will eventually be a home for him to live in. Marco and Claire had recently bought a family home and also had an investment property (flat) that Claire had bought before she met Marco. They earned good incomes but Claire had reduced her working hours after their daughter was born. When Next Level met them they were 4 months from the arrival of their second child and were concerned that they were not going to be able to make ends meet. They were contemplating selling Claire’s flat even though it was in a good area, was rented to a long term tenant and was generating a good level of income. Upon meeting with Marco and Claire we realised that we needed to move quickly to establish their financial plan as they were growing increasingly stressed about their budget and ability to meet all expenses once their second child arrived. We spoke with them at length and developed a very detailed budget that took into account their incomes, Claire’s pending maternity leave and additional costs of two children. We identified a number of areas where they would be able to cut back without impacting on their lifestyle and also identified that their personal insurances weren’t properly structured. Both had taken out extra cover when their daughter was born but hadn’t taken advice on whether the cover was adequate or structured in a cost and tax effective manner. The financial plan devised for them by Next Level incorporated advice on setting and keeping to a budget and more cost effective solutions for their superannuation. This also involved recommendations for appropriate levels of insurance cover that provided appropriate protection while reducing the pressure on their cash flow. We also referred them to one of our trusted partners who refinanced their mortgage and the investment loan on Claire’s flat to minimise repayments. Marco and Claire stuck to their budget carefully and were able to manage their finances very effectively once their second child, a son, arrived. Next Level has subsequently worked with them on a strategy to manage child care costs while both have reduced their working hours to balance the needs of their children. Their daughter has now started school and their son will do so next year, which will enable us to move to the next phase of their financial plan where their experience with budgeting will enable them to pay off their mortgage in as short a time frame as possible. Russell and Lydia had recently married and had 4 children between them – one of their own and 3 from former marriages. Lydia works full time in the finance industry and Russell is a full time father who also does some part time freelance work. They feel secure as they have their house fully paid off and they don’t feel financially stretched. Lydia has some experience with financial matters however they approached Next Level because both are concerned that they’d not given any thought to their wills. As they have complex family circumstances they were concerned about what would happen to their assets should either or both of them pass away. We were able to refer them to one of our trusted partners who completed wills and powers of attorney for both of them that provides them with peace of mind that their wishes will be followed. However in discussion we identified that there was a considerable gap in Lydia’s income protection insurance and that she was insufficiently insured, as the main income earner, should she die or become permanently incapacitated. Lydia had an insurance plan provided by her employer and knew that she had some cover through her superannuation but had assumed that it would be OK without seeking advice on how much cover to have and how to best structure it. We also identified that Lydia had 3 superannuation funds from various past employers that were all more expensive than an alternative option with comparable features and benefits. Next Level was able to provide Lydia with advice on her superannuation and insurances and liaised with all providers on Lydia’s behalf to implement the advice with minimum disruption to her schedule. Jon is the owner of a successful business providing supplies to the building and construction industry. His business had grown successfully over a number of years and he was fast out-growing the factory space that he rented in the outer suburbs. Jon had heard that he might be able to acquire a factory through superannuation that he could also use in his business but he was unsure where to start or how it would all work. He had approached Next Level and one of our trusted referral partners specialising in accounting and taxation to seek advice. Next Level spoke at length with Jon and obtained detail on his personal and business situation. Over several meetings we explained to him that he could use a self managed superannuation fund to acquire a factory for his business however we wanted to ensure that Jon was aware of the risk of such a strategy and the rules that apply to such an arrangement. We jointly identified that it was an appropriate strategy for Jon and we liaised with our referral partner to finalise the set up of his self managed fund, including the specific trustee and taxation arrangements. This ensured that Jon was aware of what he was doing and why, while allowing him to focus on business while we took care of the background arrangements. Jon acquired a factory through his self managed superannuation fund, which has enabled him to effectively increase his business capacity. Rob and Anne retired around 10 years ago and have focused on being as active and adventurous as possible ever since. They have travelled extensively around Australia and are planning a couple of overseas trips in the next few years. Their main goal in retirement is not to have to worry about money. They worked hard through their lives and have a decent retirement balance, supplemented by a small pension from Centrelink, and they feel that they’ve earned some peaceful years enjoying life. Rob and Anne engaged Next Level ahead of their retirement to ensure that they had their finances properly structured. 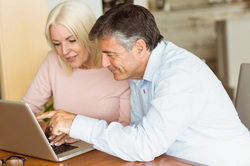 We were able to show them that by saving even a small percentage in the cost of their superannuation they would be adding considerable financial benefit to their retirement savings. As part of this exercise Next Level also undertook discussions with Rob and Anne to identify how much risk they feel comfortable with in their superannuation pensions and have invested their accounts accordingly. This is reviewed no less than annually and we have favoured direct investments where possible to reduce the costs incurred by Rob and Anne. We also manage the level of Rob and Anne’s superannuation pensions with reference to the levels of income that they need and the rules that govern the minimum amount that must be drawn each year. These levels are adjusted occasionally and we also organised a lump sum payment from Rob’s pension account when he required funds for a medical procedure. Next Level also acts as Rob and Anne’s liaison with Centrelink so can manage the updating of their information and any other requirements as needed. Rob and Anne are enjoying their retirement knowing that their finances are being professionally managed on their behalf. Ross is an entrepreneur who has built and sold several businesses over his working life. Being self-employed he’s tended to focus his finances solely on his business interests rather than building superannuation or making plans for retirement. He had however bought two investment properties some years earlier that he had since rented out but that still had loans against them. Ross had been working with a couple of other partners in a business that attracted the interest of some large corporates keen to acquire it from them. Ross and his partners had agreed to sell and to then work with the acquirer for a period of 2 years after the sale. Ross suddenly realised that he was approaching retirement age with very little superannuation but with considerable assets outside superannuation – namely the proceeds from the sale of his business and his investment properties. Next Level met with Ross and he expressed a concern about superannuation, which was based largely from not knowing much about how it worked. We took time to explain to Ross how superannuation could work for his benefit and the significant tax advantages that he could derive if superannuation were used appropriately for his circumstances. We worked with Ross’s accountant to devise a strategy for the proceeds from the sale of his business to be contributed to superannuation in accordance with the relevant legislative rules. We undertook risk tolerance exercises with Ross to ensure that the proceeds were invested appropriately and in a low cost option. Ross advised us that he felt comfortable with property as an investment but we were concerned about the debt that remained on the properties. We determined that if he sold one of his investment properties then he would have sufficient resources to repay the loan on the remaining property while retaining it as a source of income and capital growth in retirement. Ross recently retired from the workforce and knows that his finances are structured to generate a tax effective income for him for the rest of his life.